We are a NON competitive dance studio. We specialize in beginning, intermediate and foundational dance instruction. Our technique-based studio gives students a foundation for collegiate and beyond (if they should choose) while offering a stress free dance experience for everyone. 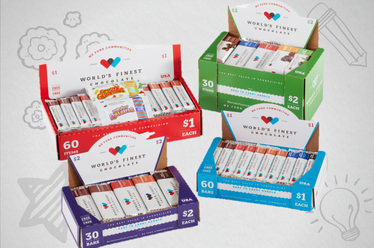 We are excited to announce we will be Partnering with World’s Finest Chocolate to help off set the cost of costumes, troupe fee, convention fee, recital fee...etc. We will be sending more information in our monthly newsletter. This year EVERY student is invited to participate in outside performances. We will be performing at some very fun and exciting locations this year -as well as parades. If you enjoy dancing and performing, then it won’t matter what group you are in or with whom you dance. Please be cooperative and do not ask for special consideration. There is a $50 Troupe Fee to cover rehearsals, costume rental /or T-shirt, accessories or props. *each performance*. Rehearsal will be scheduled on Wednesdays during your level/age. Opportunity to perform on a cruise ship or at Disney World. .....Plus many more fun events. Dancers are born to perform and share their passion. Why? -Keep a student from what they love too do! Dance is an art! Everyone of my students should paint their dreams.